Lloyd Campbell - STEER FOR STUDENT ATHLETES INC.
Lloyd Campbell is a consultant in Spencer Stuart’s New York office. With 30 years of financial services industry experience, he has deep sector knowledge and functional expertise across the firm’s Financial Services, Private Equity, Industrial and Board practices. Prior to joining Spencer Stuart, Lloyd spent seven years with Rothschild North America as a managing director and global partner. For six years, he led the private finance group, reporting to the CEO of Rothschild NA and overseeing an international team of 18 people. His group focused on raising private equity and mezzanine financing for clients including both large, private and mid-cap companies as well as private equity firms. Before Rothschild, Lloyd spent 16 years with Credit Suisse First Boston, where he started as an associate and rose to managing director of the private finance group. As managing director, Lloyd specialized in senior and mezzanine debt for large and mid-cap companies and was responsible for initiating and completing transactions on behalf of his clients. 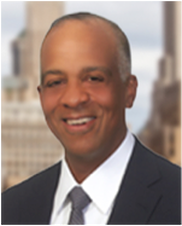 Lloyd began his career with Teachers Insurance and Annuity Association, where he was a member of the private placement department for five years, responsible for institutional placement investments in corporate entities. Lloyd currently sits on the boards of The Guardian Life Insurance Company of America and serves as special adviser to Aurora Management Partners. He previously served on the boards of Alderwoods Group, Argyle Security, Spartech Corporation and Georgetown University. Additionally, he served as a senior adviser to Rothschild’s merchant banking activities. Lloyd received a B.S. in business administration from Georgetown University and an M.B.A. from The Wharton School of the University of Pennsylvania. Lloyd’s personal connection to Steer derives from his participation in, and continued involvement with, the Pride First program. Pride First was an innovative community based program supporting at risk student athletes through mentoring and academic services. Lloyd Campbell was a founder and leader of this successful program, which focused on communities in the New York Metro area. Lloyd explains, "Steer is doing similar core work as Pride First but with deeper mentorship relationships and a more comprehensive set of services. I am excited to apply my experience and the Pride network of alumni in assisting the mission of Steer." Steer is continuing to form a partnership with Pride First organization with intentions of expanding the Steer outreach to another school, and to potentially grow our number of Steer Advisors through Pride alumni.